Conditions:Some exclusions apply. See site for complete details. Conditions:Excludes baby formula and PC & Video Game products. Some other exclusions apply. See site for complete details. 10% off	Amazon Baby. 10% off a £200+ spend & added to baby wishlist. Prime members only. Those people at Amazon are so kind-hearted! £5 off	£5 off £25 spend promo code via amazon app. T&C apply. I have used the prime code a while ago. Have just seen the app code today in my account. But as you mentioned, it could be there for a while as T&amp;C mentioned the starting date of 22nd november. There is no code required. If you are eligible, it will be shown a banner on the page, when you login to amazon account. And you can click to redeem it. It's account specific and been on for ages. They also have another £5 offer for those on Prime ( even free trial) to watch at least 5 mins on any program / film on prime video. This has popped up on both mine and the Wife's accounts this weekend so may be more widely available. Both offers, if available to you, will show on the Amazon home page if you are logged in. This deal should get more heat?! I know you have to reach £50 threshold but with discount approx £38 for 3 boxes of CK bars is a deal :) thanks OP! I think they've sold out, it's saying currently unavailable. Good deal while it lasted! I ordered 3 but maybe they've put a limit on? Will only let me order 1 ?? Nothing new here been offering this for ages and i had £20 off first 3 purchases maybe check around for better codes. You sound like a really cool guy. Loads of properties but whinges about having to find how he can save a couple of quid on high end Amazon gadgets. Class act and humble with it too. Prattings. grow up and argumentative said the primadonna. Haven't you got things to be busy with or do you want somebody to do the 'graft' for you? Might seem obvious to some but worth mentioning that, according to the Amazon web page I spotted this offer on, one of the T&amp;Cs is that the £5 discount will be applied when you make a purchase of £25 or more using the Amazon App. In other words, you need to claim the code AND make the qualifying purchase in the app. So if you were thinking you could ditch the app once you've claimed your code, think again: By signing in to the Amazon App for the first time between 22nd November 2018 and 28th February 2019, you are eligible for a £5 promo code, redeemable against a qualified purchase using the Amazon App. I installed the app but initially I couldn't see what to tap on. After a few minutes the banner appeared. I'm posting a screenshot here so folk know what to look for. Contacted Amazon through live chat and they added £5 to my account also. Thanks!! Sent in the mail this morning. I've just received this too (Manchester) and have used prime now a few times now, most recently a couple of weeks ago. So not sure the criteria, but appears to be account specific! No cities in the whole of Wales! You shouldnt need a code, if you're eligible, and the product is, then it should say underneath it-just tap on promotion. They don't let me register for new accounts anymore. Heat added. 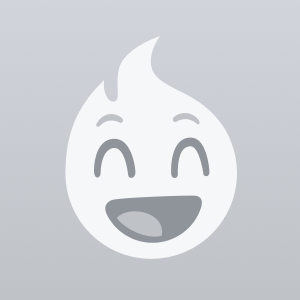 Are you lot getting the best prices for utilities when with British Gas? Anyone got a British Gas code to get Hive installed? Edit: NOW EXTENDED TILL 31/12/2018 thanks @BlueHorizonUK Has now been relaunched under a new code AMEX25OFFSWP ! No you need to signup for a new Amex Card that rewards your in membership point, PM me if you want to learn more. Thanks for that..Just come off chat and its been sorted. That's what I ended up buying, as the Birra Moretti is on an offer for 2 cases for £20 as well as being in the spend £40 and get £10 off. So your total should have been £27 not £30.99? £20 off	Get £20 off your first Amazon Fresh order when you use this Amazon discount code! Needed a new remote for my Fire TV and spotted this. Would greatly appreciate if anybody could send me a working code, thanks in advance! Also got a spare code if anyone would like it? doesnt work for me an no ideas why? Exactly as the title says Save 20% OFF Your First Subscribe & Save Order With Code 20SNS1. Set up a new account, and use the code, simple as that. I'd forgot about it, I assume there's more than just me. This is as old as pyramids. Deleted as item was fulfilled by Amazon so not on the offer :/. My wife has found out and has had my balls. Says about a "free trial pack" - perhaps only works for people who got a free trial pack? Same. Doesn't work for me on the products listed. Tried normal buying and subscribe and save. Would be hot if it worked. It’s a good offer for those of us who can use it, done my first shop. Got most of the weeks groceries through amazon who go and get it from Morrison’s. "your order must be over £80"
All this religious talk gonna get you banned! Do you have meetings over it then? Just used this on the £9.99 TP-Link Smart Plug, thanks @anouj for posting or I'd have missed this! Worked for me even though signed up for Prime Student on July 10th. Thanks! £10 off	£10 Off first order with Amazon Restaurant, Min £15. Where do you put the code in when ordering in the app? you don't have to... unless you find it cheaper elsewhere whatever you are buying.. I'd be willing to bet that most people bleating on about Amazon avoiding corporation tax would do the same with their own income tax in a split second if the government let them get away with it. And without amazon tens of thousands of people wouldnt be employed... wouldnt be paying tax and wouldnt be contributing. Governments fault / not amazon. If i could get away with zero tax I would too... as would most, i suspect. Weird. Saw this off last week during prime day. Said if you use the app for the first time you get a £10 voucher...but didn't say it would be sent instant (think within 30 days), and no primenow10 code used. Still same conditions having to spend a minute of £50 though. Anyone else use the app for the first time during prime day and get their code? You have 30 days free trial. What you have to do is to remember to cancel the Prime Membership before. Job done 8) Cancel Prime Membership is found on "Manage Prime Subscription" or something like this. And it is easy to cancel. If you do not cancel, you will be charged next month with £7.99. If you are eligible, then don't forget you can buy other things on fresh that are not grocery related. There looks to be Sandisk ultra 128gb micro sd cards at £31.48 in fresh. Add 2 of these and get 20 off for £42.96 in total, for example. Hot if it works but it wasn't allowed to be added my my order for some reason. So let me guess you spent GBP £100.00 on Amazon Fresh and used code COURGETTE for £20.00 off then used STRAWBERRY to get another £20.00 off then the final fruit code MANGO and got final £20.00 off. 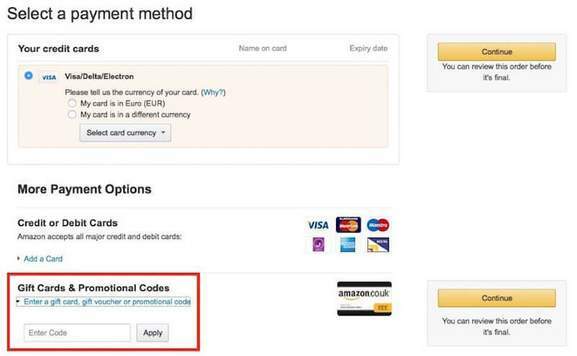 In total you spent £100.00 and saved £60.00 using codes and you paid a total off £40.00 for your Amazon Fresh order. Pointless exercise. Endless calls to customer service with no joy. Closed the business account again. Maybe you registered after they pulled it. Seems you've a good reason to get onto them though. Mine worked a treat. The code isn't being recognised for me even though I registered on day etc?? But you just add the code and it works. Why are you talking to them as prime day is over for registering. Send them a screenshot from on here, how can they deny that? But worked on my existing account. Prime Now is only available in like 5 cities or something, and mine isn't one of them, so that's not really an option, sadly. Precisely this. Drives me mad. People scroll past a cold post... meaning that people who WOULD find it useful are likely to miss out. Just because it’s no use to you specifically doesn’t make it not a deal. I post a lot less these days because of things like this to be honest, it’s a shame. Might as well ask in here. Does anyone know if you can use a new email address and new account to re-use an offer, like the £10 free credit on £40 top up offer? I assume Amazon track accounts by address so this isn't possible but figured I'd ask, as if I can just set up a new account with a different email address then it's easy, but then I imagine I'd already know it was possible by now. Used this offer to purchase Mario Kart Deluxe 8 for the Switch. Voted hot! I subscribe,use the code,and receive the discounted goods. What happens if I don’t want to continue with the sub and cancel? Do people do that? £20 off	Amazon Fresh - £20 off on order of £60 or more. Window pops up: not available for my location. Shows me code STRAWBERRY with £20 off purchases of £80 or more. maybe to the ones who have recieved the email only? Not working for me, is this definitely for existing customers too? Thanks for sharing @pemb1234 moved to Vouchers as it's a code. I believe if the voucher is valid for your account it will tell you on the kindle page about it, and don’t forget, like the bookworm codes from before, the upgrade codes have varying amounts of discount.For example, when I go to buy a kindle paperwhite, it tells me to use code UPGRADE50 for a £50 discount. I wanted to upgrade from a Fire 7 to a paperwhite, did not work for me either. Thanks op. Used code to get 25% off a case for Fire tablet. Which accessory didn't the code work for? I tried several and they all worked. More Info	£10 off 15 spend at Amazon restaurants, possibly account specific. Nothing in the mailbox so far but heat added. If anyone as a spare code I could use it! I cannot afford the flights nor like creepy crawlies, so no good for me, but heat from me. Add items to your shopping cart and follow the ordering process. Enter the discount code on the "Select a payment method“ page under “Gift Cards & Promotional Codes“ and apply it to your order. Go to the gift voucher page and choose a type of gift card. Gift Cards can be sent via an e-mail, printed at home or sent as a greetings card or gift box, which includes free one-day delivery. Choose the amount of your gift card between £1 and £1,000. Add a message if you like, put the gift card in your basket and finish your order. Go to the website at amazon.co.uk. Either head to the “Redeem a gift card“ page, type in your code and click “Apply to Balance“. Or put the items you like to purchase to your basket and “Proceed to Checkout“. Click through to the step “Pay“. Under “More Payment Options“ you´ll find the choice “Gift Cards & Promotional Codes“. Enter your code and press “Apply“. Your total amount should be reduced in the next summary. Do you want to shop at Amazon stores from countries other than the UK? Amazon has international stores that also deliver to the UK. You can find their voucher codes and deals on Mydealz for Germany, Dealabs for France, Pepper.nl for the Netherlands, Pepper.pl for Poland or Preisjäger for Austria.